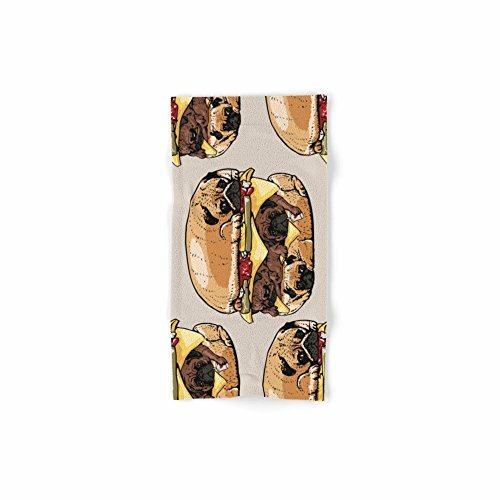 Society6 Pugs Burger Hand Towel by Huebucket. Make your reflection jealous with this artist-designed Bath Towel. The soft polyester-microfiber front and cotton terry back are perfect for, well, drying your front and back. This design is also available as a hand and beach towel. Machine washable.